Building on the 1525, Master Lock's new combination locks brings a new innovation to the locker lock field. The 1585 Letter Lock uses letters for its combination instead of numbers. 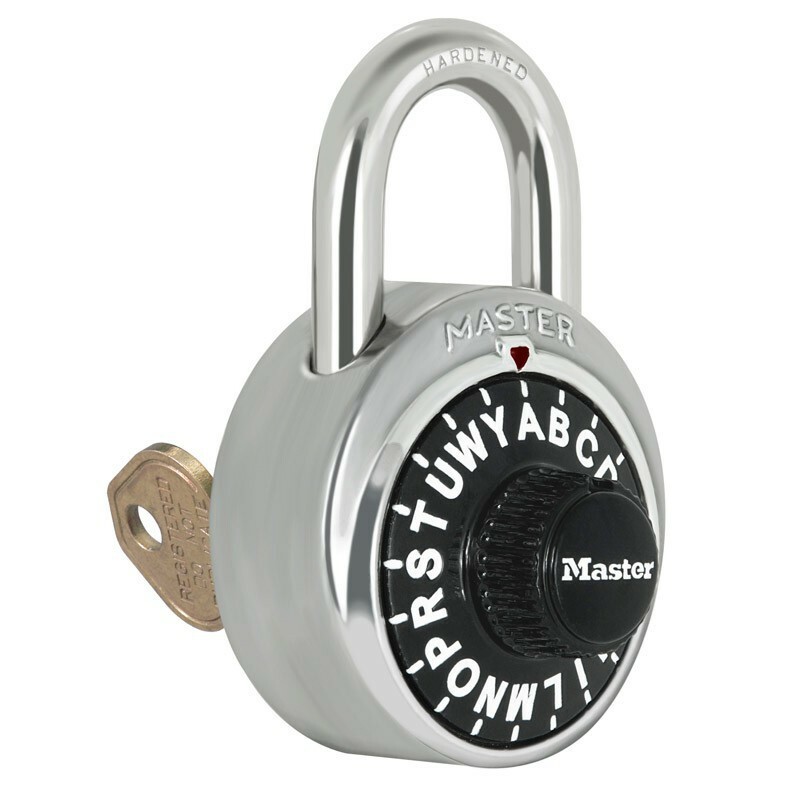 Letter-based combinations are easier for some users to remember, and Master Lock includes a helpful matching phrase with every lock. The 1585 is compatible with the K1525 control key. Control keys are sold separately, so don't forget to order one with a new system! 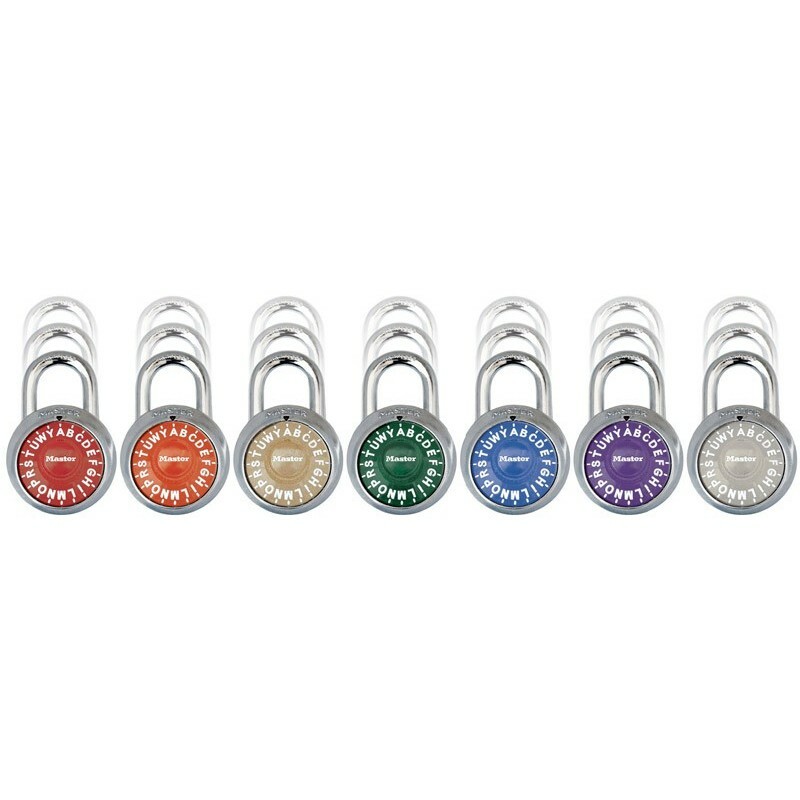 Orders of this lock will also come with a chart of serial numbers and combinations to aid administrators. The lock is 1-7/8" wide, and the shackle has 3/4" of vertical clearance. Eight different dial colors are available. If you have any questions about locker locks, you can read this blog from LockerLockSolutions.com and learn about the subtle and more broad differences between types of locker locks.